← Why Have Investigations of Wall Street Disappeared from Corporate Media? Last year, Opus Bank was even more lavish in its praise for the Weinstein Company when it announced that it had provided $15 million of a $400 million senior credit facility which was “agented” by Union Bank. But the Weinstein Company was the antithesis of a “well run media” company and was a complete failure at providing “disciplined” management. Its Board was aware of multiple prior settlements with women over charges of sexual misconduct by Harvey Weinstein but renewed his employment contract anyway. In 2013, Tony Beaudoin, a Senior Vice President at the time at Union Bank, told the Wall Street Journal that “The Weinstein Co. has instilled the highest confidence level in the banking market since its inception.” His remarks were made in the context of describing a large new credit facility it was participating in for the company. Major banks have been involved in these credit facilities for at least the past five years, raising the question as to what law firms did the due diligence on the loans. Weinstein could have meant that there was no long-term debt or bonds outstanding. But if you owe money to banks, it’s debt that you have to pay back and it reduces the value of the company accordingly. 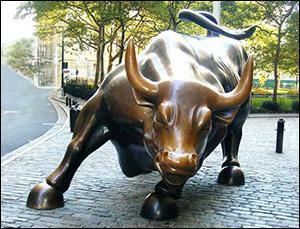 Among the 14 biggest banks in the world are the mega banks on Wall Street. Banks like JPMorgan Chase, Bank of America, and Citigroup. The funny thing is, we haven’t heard anything about their owning up to having loans or a credit line outstanding to the Weinstein Company. Glasser may have been engaging in hyperbole about “the biggest banks in the world,” or it could be that Wall Street (which has had decades of sexual harassment and assault charges leveled against it) would rather keep its relationship with the Weinstein Company under wraps.